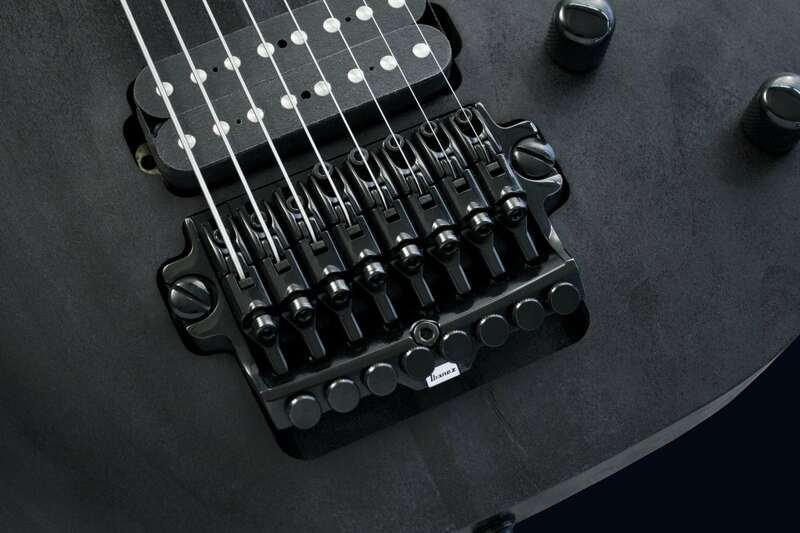 The Ibanez M8M Meshuggah 8-String Electric Guitar is perfectly balanced to deliver a truly great 8-string experience. Martin and Fredrik of Meshuggah worked with the Ibanez Custom Shop over a period of years on this instrument and in their own words: "This is the guitar we've been marveling over since we received the custom shop model 8 years ago. It has been used in the studio and on countless stages around the world, and is now available to you as well. Constructed to our exact specifications by master builders in Japan, the tone will speak for itself." - Marten & Fredrik / Meshuggah. The M8M has a 29.4-inch extra-long scale neck with pre-set down tuning. This emits a tight and consistant sound all the way down to the lowest note without ever losing playability. The alder wing neck-through-body design enhances the defined tone even in down tuning with great accessibility to the higher positions. The Lundgren Model M8 pickup was designed specifically for this guitar and, at the expense of being slightly low-output, delivers an extremely well defined and balanced tone across the fretboard, even when playing with a high-gain setting amplifier. Indestructible Schaller Security Locks keep all strings in tune under the toughest conditions on stage. 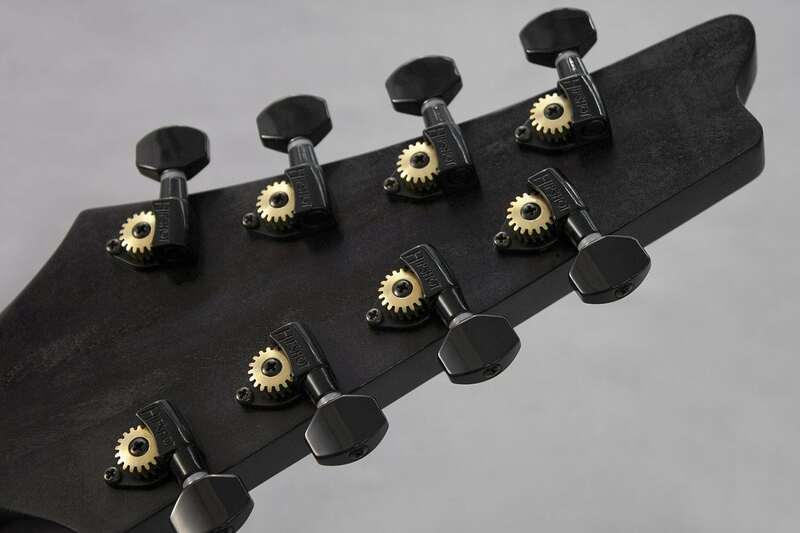 The FX Edge III-8 bridge combines a fixed bridge sustain and double-locking tuning stability.